Sl. No. Subject Console Sl. No. 28 Letter dated 27.07.2012 from ESICH, Parippally, Kollam, Kerala on the subject : suo-moto disclosure u/s 4 of the RTI Act,2005. 32 Letter dated 28.09.2012 from ESIMH, Bari Brahman, J & K on the subject : suo-moto disclosure u/s 4 of the RTI Act,2005. 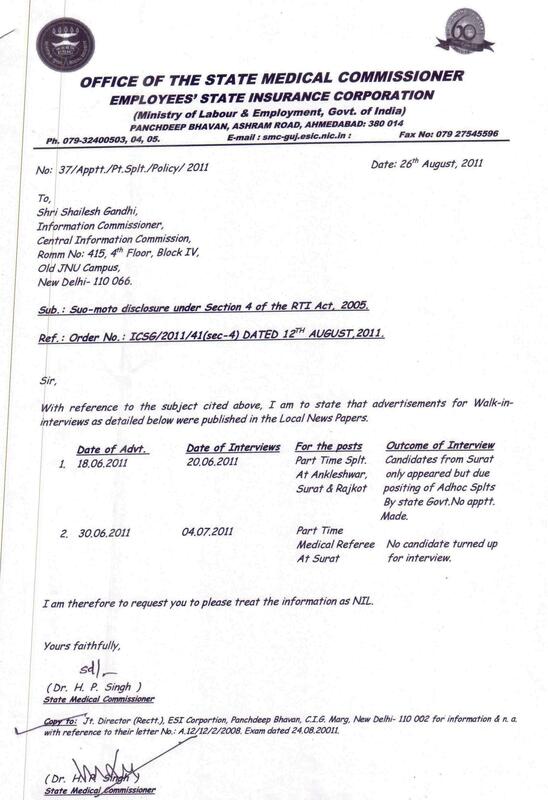 34 Letter dated 15.10.2012 from ESIMH, Bari Brahmana, JK on the subject : suo-moto disclosure u/s 4 of the RTI Act,2005.